Most people have heard of the big cities rising between the mountains and forests of the Pacific Northwest: Seattle, Portland, Spokane. But what of smaller towns with mountains for skyscapers and rivers as highways? What of treasures buried in the nooks and cranies of some of the nation’s most stunning geological features? Smaller towns can become lost among the main attractions, so here’s the most beautiful ones to check out. 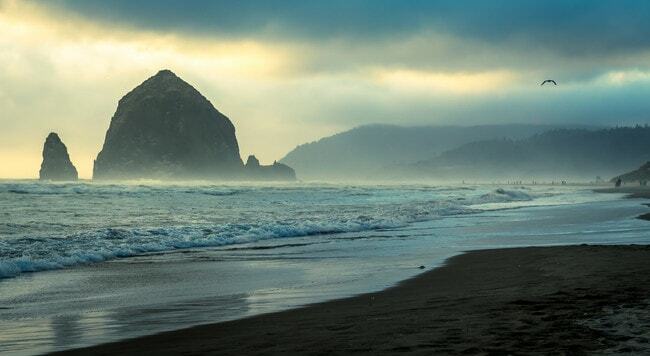 Cannon Beach is a well-known stop along the Oregon coast. With the Ecola State Park, miles of beaches, Haystack Rock, and Hug Point, the charming town basks in the natural beauty of its surroundings. The beach and park include excellent spots for hiking and surfing, as well as bird and whale watching. The town itself offers everything from galleries to cottage tours to art festivals, not to mention the celebrated boutiques available for shopping. With a population just over 9,000, Gig Harbor brings well-preserved as well as refined culture and history to the forefront. Its location on the bay of the same name provides a scenic backdrop of evergreens leading to Mt. Rainier across the shining water. Known as a gateway to the Olympic Peninsula and all its treasures, Gig Harbor embraces the surrounding nature, weaving it into the fabric of the town. This “mountain getaway” not only provides stunning views of the Deschutes River and the Cascade Mountains, but it also hosts unique geological features including Pilot Butte, the extinct volcano, and the Lava River Cave at the nearby Newberry National Volcanic Monument. Known as a place to play, Bend perpetuates enjoyment of its gorgeous sights with all manner of sports options, including skiing, stand-up paddling, hiking, and mountain biking. Long Beach is one of the best-known beach towns in the state of Washington. Located on the Long Beach Peninsula, the city could make this list with its views of the Pacific Ocean alone. But of course, there’s more. The town sits just north of Cape Disappointment State Park, located at the mouth of the Columbia River. Check it out and look for Oregon across the way! Otherwise, explore the Willapa National Wildlife Refuge or the Discovery Trail (tracing a coastal section of Lewis and Clark’s route), or head into town for sights like Marsh’ Free Museum. 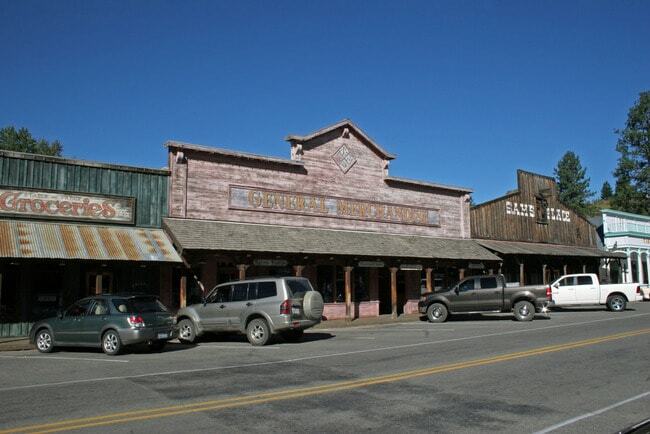 The adorable town of Winthrop is known for the American Old West design of all of its buildings. The popular vacation spot for locals has a population of just over 400. Not only is the city itself fun to see, but it is set in the northern part of the Methow Valley along the Methow River on the outskirts of the Wenatchee National Forest in the Cascade Mountains. Plus, it is within approximately an hour from Lake Chelan, the Colville Reservation, the Methow Wildlife area, and Pearrygin Lake State Park. Ashland is uniquely located just outside the Siskiyou Mountain Park, at the convergence of the Cascade and Siskiyou mountain ranges. Just north of California, it is possibly best-known as the host for the Oregon Shakespeare Festival. Not far from the Crater Lake National Park, it is certainly a Pacific Northwest stop you won’t want to miss. 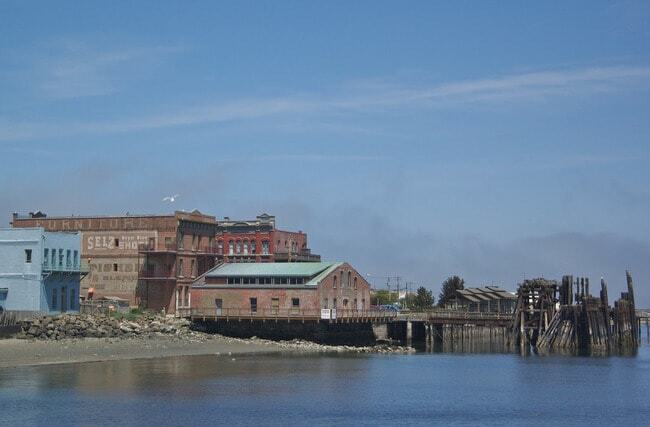 Nestled between the Salish Sea and the Olympic National Park, Port Townsend is the only incorporated city of Jefferson County. Explore Fort Worden State Park and breathe in the salty air from the sea, or use the city as a delightful launch pad on your way to nearby islands or the gems of the Olympic Peninsula. Don’t forget to check out Port Townsend itself: it is one of three Victorian Seaports on the National Register of Historic Places. Not far from the above-mentioned Long Beach, Astoria sits on the Oregon side of the mouth of the Columbia River. Other than the passionate residents boasting about their town’s character, Astoria’s beauty is found in both the surrounding nature and its historical sites. The Fort Stevens State Park and the Bradley State Scenic Viewpoint all attract visitors as well as the Lewis and Clark National Historical Park and the Flavel House Museum, a preserved 1886 Queen Anne home. 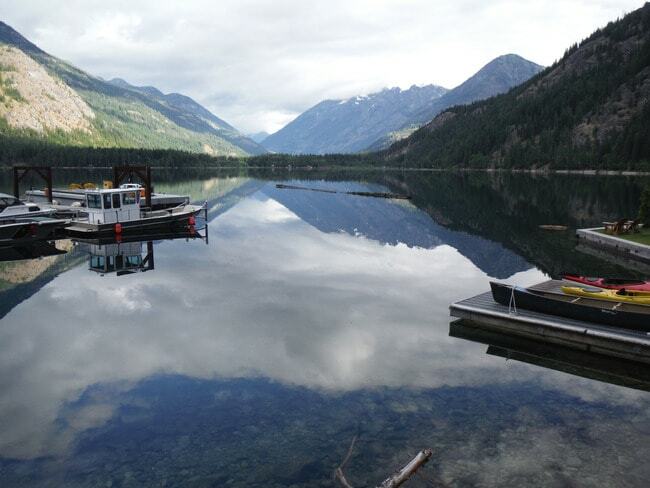 The unincorporated community of Stehekin has just under 100 “full-time” residents. Nestled in the North Cascades National Park at the northern end of Lake Chelan, the area doesn’t even have any cell phone reception. All roads may lead to Rome, but none lead to Stehekin. Arrive by foot via extensive, century-old trail systems, by seaplane, or by boat, and wonder at the stunning natural beauty without the distractions of the modern world. The San Juan Islands are a magical corner of the Pacific Northwest, between Vancouver Island and northern Washington. Friday Harbor is one of the best-known towns on the largest of the islands, after which the archipelago is named. Offering the relaxed, charming island life all within walking distance, Friday Harbor is home to just over 2,000 people. The 1.3 miles of shoreline along the Salish Sea are prime for catching glimpses of orcas passing by. The town also serves as a gateway to the rest of the island’s treasures, including the Lime Kiln Point State Park and the San Juan Islands National Historical Park.